1. Pass Off : نظرانداز کرنا : (verb) disregard. She passed off the insult. Brush Aside, Brush Off, Discount, Dismiss, Disregard, Ignore, Push Aside - bar from attention or consideration. 2. Pass Off, Blow Over, Evanesce, Fade, Fleet, Pass : غائب ہو جانا - آہستہ آہستہ ختم ہوجانا : (verb) disappear gradually. The pain eventually passed off. The fog slowly passed off. Disappear, Go Away, Vanish - get lost, as without warning or explanation. 3. Pass Off, Come About, Fall Out, Go On, Hap, Happen, Occur, Pass, Take Place : واقع ہونا - رونما ہونا : (verb) come to pass. Break, Develop, Recrudesce - happen. 4. Pass Off, Breathe, Emit : خارج کرنا : (verb) expel (gases or odors). Belch, Bubble, Burp, Eruct - expel gas from the stomach. Disappear, Go Away, Vanish : بغیر بتائے غائب ہونا : get lost, as without warning or explanation. "He disappeared without a trace"
Disregard, Neglect : اعراض : willful lack of care and attention. Bit By Bit, Gradually, Step By Step : آہستہ آہستہ : in a gradual manner. 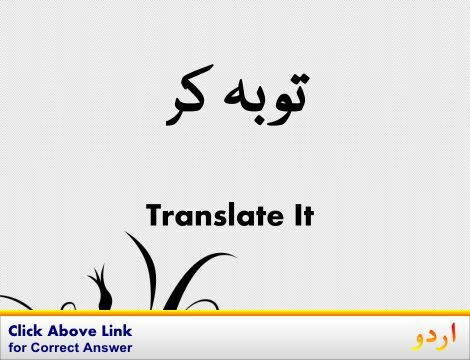 "The snake moved gradually toward its victim"
Pass On : اطلاع دینا : transmit information ahead. Pasqueflower : ایک قسم کا پہول : any plant of the genus Pulsatilla; sometimes included in genus Anemone. How this page explains Pass Off ? It helps you understand the word Pass Off with comprehensive detail, no other web page in our knowledge can explain Pass Off better than this page. 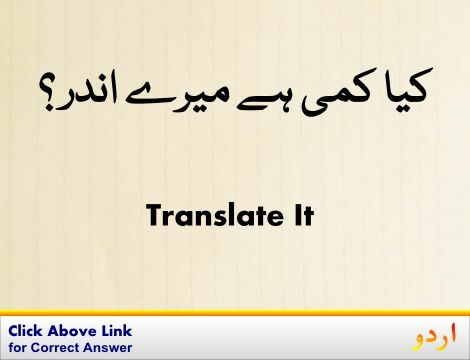 The page not only provides Urdu meaning of Pass Off but also gives extensive definition in English language. The definition of Pass Off is followed by practically usable example sentences which allow you to construct you own sentences based on it. You can also find multiple synonyms or similar words on the right of Pass Off. All of this may seem less if you are unable to learn exact pronunciation of Pass Off, so we have embedded mp3 recording of native Englishman, simply click on speaker icon and listen how English speaking people pronounce Pass Off. We hope this page has helped you understand Pass Off in detail, if you find any mistake on this page, please keep in mind that no human being can be perfect.